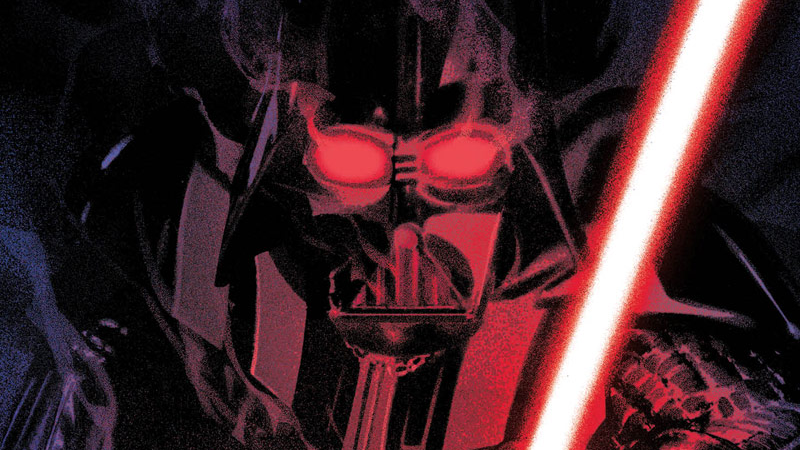 Cover art for Shadow of Vader #1. At New York Comic Con last weekend, Marvel Comics officially announced Shadow of Vader, a five-part Star Wars miniseries written by Star Wars: Aftermath book trilogy scribe Chuck Wendig. Except, the last two issues will no longer be penned by Wendig, as the author has just revealed Marvel has fired him. In a lengthy statement posted to Twitter this afternoon, Wendig confirmed he has been “fired” by Marvel from both the final two issues of Shadow of Vader, as well as “an as-yet-unannounced SW book.” io9 reached out to Marvel Comics for a statement on Wendig’s departure, but a spokesperson would only confirm that the publisher and Wendig had parted ways. We’ve also asked Lucasfilm for comment on Wendig’s claims and will update this story if we hear more. Sources close to the matter said Marvel has ongoing conversations with creators about social media use but did not specify as to known conversations with Wendig. Wendig’s exit from Shadow of Vader marks merely the latest successful weaponization of a supposed appeal to “civility” by online trolls. Notable past toxic cultural campaign Gamergate, and its copycat Comicsgate, cited the need for “civil” discourse while at the same time leveraging targeted campaigns of harassment (including doxxing, death threats, and more) against people who championed progressive values or criticized President Trump on social media. These forces seek to force companies like Marvel or their parent company Disney—as was the case in the firing of director James Gunn from Guardians of the Galaxy Vol. 3—to cut ties with vocal, progressive talent in the hopes of avoiding online backlash. These campaigns only serve to harass and silence voices they disagree with and punish those voices for daring to talk back. This post has been updated with additional context from a source on Marvel’s conversations with their creators about social media usage.